It’s been a long time since I wrote something for this blog, life just keeps getting in the way. Though it hasn’t all been work, work, work, I’m happy to say. I’ve spent a considerable amount of time trying to learn how one should promote one’s book, and how to do it without getting on everybody’s nerves (sheepish guilty grin). For someone who has always been backward at coming forward, this has been a bit of a trial. Anyway, I’ve tweeted, but not too often; contacted fellow authors, who have all been incredibly kind and helpful; I’ve also told friends, neighbours, and family, many of whom were unaware I’d spent the last three years writing – you can tell I don’t get out much! Now it’s time to sit back (metaphorically speaking) and wait for the reviews; so far they have been positive … phew. I haven’t left it at that though; I’m still writing. 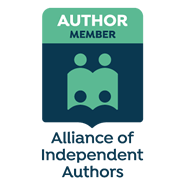 I’ve finished my second story, An Officer’s Vow; it has received great feedback from my beta readers and I’m now awaiting the verdict of my mystery reader from the New Writers’ Scheme of the Romantic Novelists’ Association. I’ve already done a lot of re-working and honing of the plot, so fingers crossed, not too much more work will be required. When all that is done, and the manuscript is completed to my satisfaction, it will then require copy editing before it finally gets published. Again, I’m going down the indie route; my view is, life’s too short to hang around trying to get an agent’s attention, who then has to get a publisher’s attention. I started writing relatively late in life, I’m not going to start wasting time now. Of course, if a publisher does like my stories once they are ‘out there’ … well, I’ll consider offers, ha-ha. Apart from the work mentioned above, I’ve also managed to fit in some breaks. 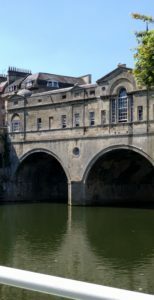 In July, I stayed in Bath for a couple of days; a lovely time was spent strolling through this beautiful city, marred only by the fact that I managed to sprain my ankle on the first evening … so not so much a stroll as a limp! 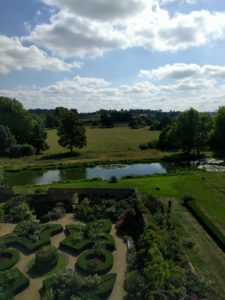 An afternoon this month was spent at Broughton Castle, near Banbury. This charming crenellated and moated house has belonged to the same family for hundreds of years and is still very much a family home. The walled garden was a particular delight. 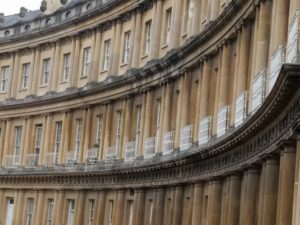 My final treat was a visit to Blenheim Palace; this time I did not go into the house, having toured it several times in the past, instead, I enjoyed the beautiful formal gardens and the walk along the lake. 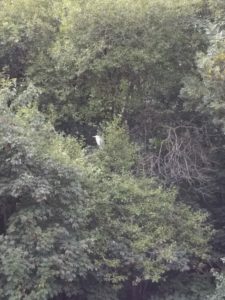 The weather was good, it was not too crowded and I even managed to spot a lone heron, perched high up on the opposite shore of the lake, surveying the water for his next meal. Apologies for the very fuzzy shot – it was the best I could manage! All in all, a great respite from the computer …now it’s back to the grindstone.